Welcome home! What a beautiful and inspiring trip! Are you thinking of using east Asia as a setting in the future? That rafting looks like so much fun—and what a beautiful place to do it! 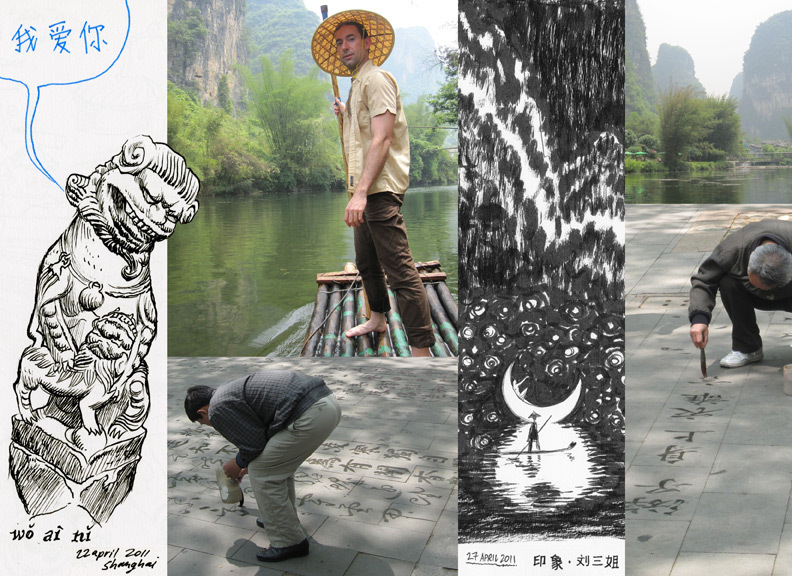 Thanks for posting the photos of the men’s calligraphy and sharing your drawings. Man, I’m so stoked for Habibi. I’m gonna check out the artists you mentioned. Thanks! That must have been an awesome experience! Seeing a different culture can change the way we see things dramatically! Can wait to see what’s this next project about. Looks like you had an awesome time there Craig. Glad you enjoyed it here in China! The Shanghai museum and Yangshuo (and Yunnan in general) have been some of my favorite places in my time living here as well. But really I’ve seen so many incredible temples, mountains, statues, calligraphy, scrolls, chops, etc. that I can’t truly pick. Hope the wrist is back to normal. It’s so beautiful! I can’t wait to catch up and hear all your stories!! Did you go to Lijiang too? I went and loved the city! I am going to post about my travel in my blog soon… I wanted to draw more than I did but now I have the photos as reference! amazing! must have been so inspiring to be there, I’d love to sometime as well.